This year is the Chinese Year of the Rooster, but organizers of the Milwaukee Public Market say they had no idea when they selected a rooster as the mark of their brand. They liked his style. 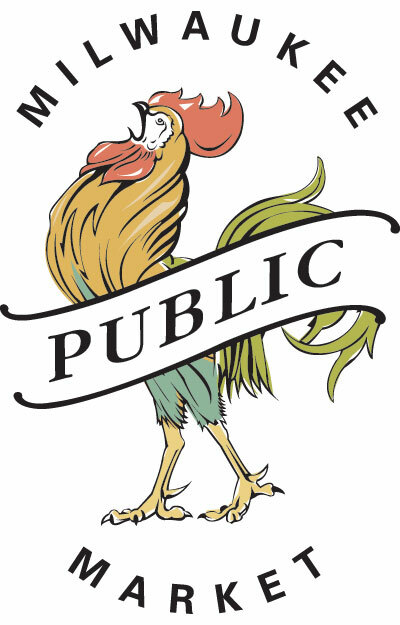 “We like our rooster just because he’s got lots of attitude and he’s crowin’ about the Milwaukee Public Market and we’re doing a lot of that ourselves,” says Rebekah Schaefer, marketing and public relations manager. “At first glance I thought it looked very French.” Schaefer says the rooster first reminded her of Chanticleer — from Chaucer’s Canterbury Tales. Picked as the logo over a bunch of cherries, the rooster was hand drawn by Laure Arthur. Arthur, who lived abroad in both China and France, is artist for Third Ward advertising firm Core Creative responsible for the rooster. Arthur brought her international experience to bear on the artwork. “She was a perfect person to work on this because of her exposure to some of the more traditional European markets,” says Karyn Soergel, director of account planning at Core Creative. Soergel says that in addition to its handcrafted appearance, the rooster carries with it many layers of cultural symbolism.